I was delighted to be commissioned by Darleys Stud Farm to create a bronze bust of the stallion "Cape Cross". 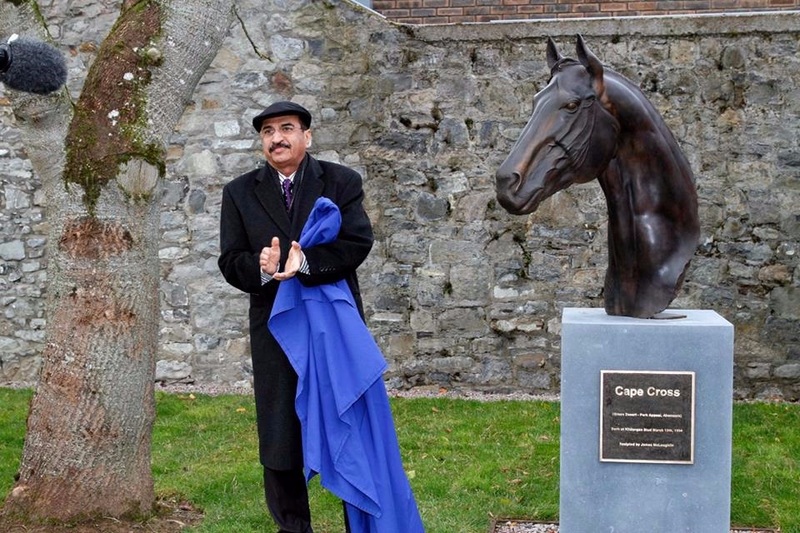 Owned by Sheikh Mohammed bin Rashid Al Maktoum, Cape is sire of Derby heroes, "Golden Horn" and "Sea The Stars" as well as Oaks winner "Ouija Board" The piece was officially unveiled by UAE Ambassador to Ireland, H. E. Dr. Saeed Mohammed Al Shamsi. 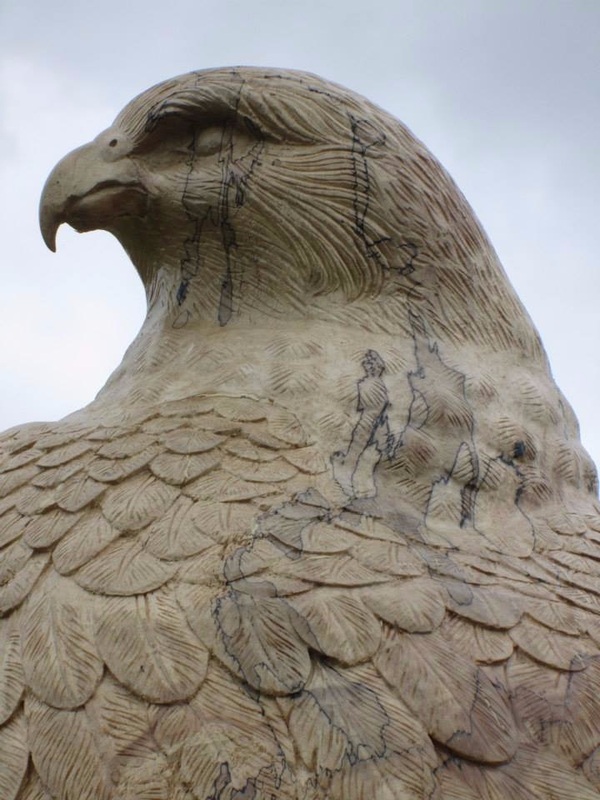 Carved Falcon Darleys Stud Farm Kildare. This commission was to carve a “Falcon” out of a living Sycamore Tree. It was commissioned by Darleys Stud Farm Co. Kildare. The Farm is owned by Sheikh Mohammed bin Rashid al-Maktoum (Prime Minister of Dubai). His Highness has a keen interest in Falconry so the idea of a Falcon carved looking out and “protecting ” the estate seemed very appropriate.